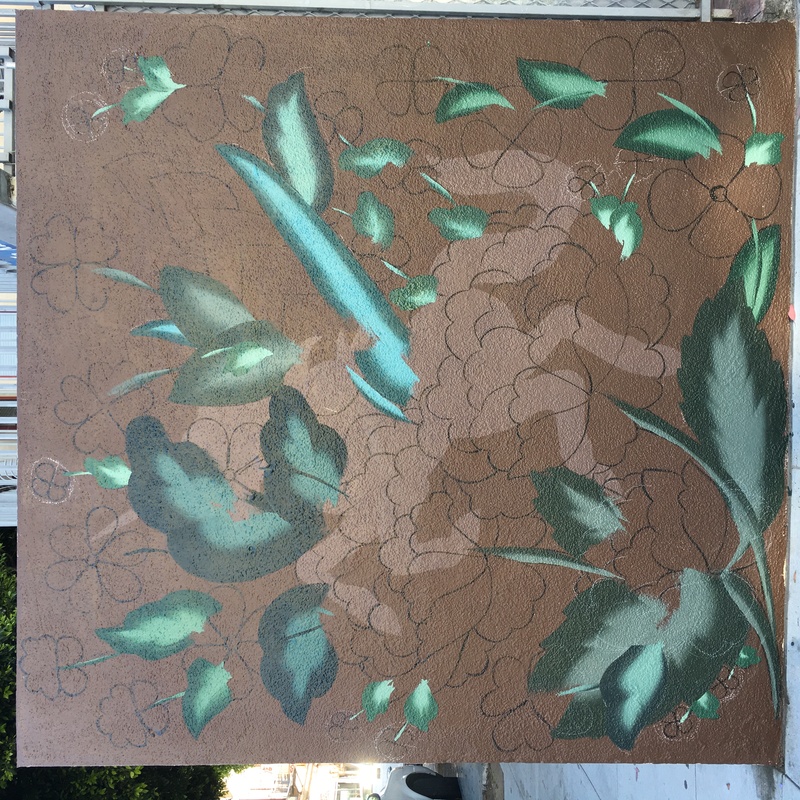 One of the (victimless) tragedies of the Mission Market building was the tearing down of the replica of the Mission’s first mural and Jet Martinez‘ Amate Mission. But like a unicorn rising from the ashes, Jet brought us a new piece for Bartlett. From Jet: The concept of “Unicornio de la Misiòn,” at Bartlett and 22nd, is a continuation of Jet Martinez’s work inspired by Mexican folk art forms. In this piece, the floral work will be reminiscent and inspired by enameled floral patterns on copper plates from the state of Michoacan in Central Mexico. 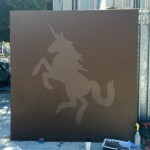 The main subject, the unicorn, is meant as a symbol of magic and chaos. 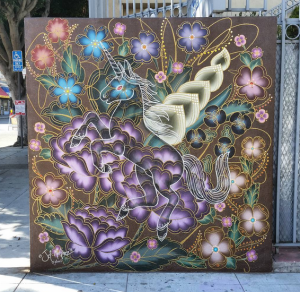 While there is no specific reference to unicorns in Mexican lore or in the Mission, there is a strong appreciation for magic and the unexplained in both communities. The piece is lighthearted while at the same time exquisitely executed. 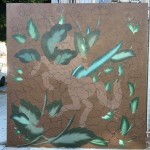 Thank you Jet for bringing beauty to Bartlett and cherishing our neighborhood through your art. The mural is funded by a San Francisco Community Challenge Grant. Thanks to the SF Arts Commission, SFMTA and Casa de la Raza for their support.